Mustafa AY – TDO – 02.08.2018 On Monday, Zimbabwean constituents went to polls in order to elect their new President and representatives to the lower house of parliament. 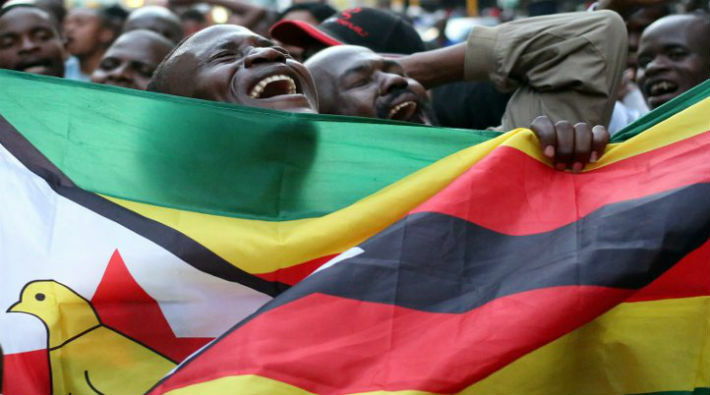 The leading Zanu-PF Party maintained its majority in parliament and presidential office by declaring absolute triumph against the main oppostition party MDC Alliance in the general election. However, once the election results were announced, many MDC Alliance proponents stormed into streets of capital Harare. Accrodingly, the bloody demonstrations arose because of MDC Alliance supporters. According to official statements made by MDC Alliance, President Emmerson Mnangagwa’s party Zanu-PF rigged the elections. Therefore, constituents of MDC Alliance refused to acquiesce the election results on which Zanu-PF allegedly cheated. On Wednesday, Zimbabwean President Emmerson Mnangagwa assigned its military forces to quell the violent dispute on the streets. Following presidential order, Zimbabwean Army deployed its troops to take action to suppress and disperse the outrageous crowds. According to Reuters’ claims, military troops shot 3 Zimbabwean protestors dead. However, Zimbabwean Justice Minister Ziyambi Ziyambi released an official statement to refute ‘unfounded’ allegations with regards to military forces’s murder of 3. Ziyambi repeatedly stressed that military troops killed no one. Military troops were deployed to disperse the incited crowds and maintain law and order on Harare streets again.